There are literally millions of personal cherished plates and private registrations to choose from and many laws and procedures to comply with. 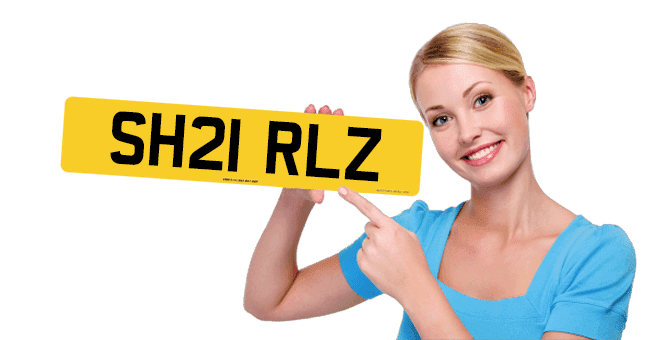 To help you we have devoted our personal number plates web site to making your search as easy as possible and to keeping you informed. If you’re a little short of ideas for your personal number plate, don’t worry just visit our ideas and suggestions pages which have been developed from many years of customer feedback.This is because of the very many ways the DVLA has issued combinations of letters and numbers over the years. There is literally a personal number plate for just about everyone! You'll see there are hundreds, if not thousands of ways you can design truly personal number plates and make your vehicle look extra special. Most of our clients know very little about buying and owning personal number plates so we have developed a highly informative Frequently Asked Questions area. Personal number plates are not only eye-catching they also make great gifts and can even prove to be sound investments. If you need any advice on which plate to choose then please feel fee to call our Swansea offices on our local rate telephone number 01792 477316.One of our friendly and experienced customer advisors will be happy to help you.